Have an app idea? Want to bring your web offerings onto the App store? Want to tap a whole new community of App users on the Internet? Wondering why your neighbor is making money with the app she did last summer and why you're not? All these are valid questions. 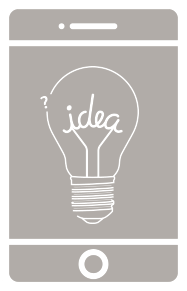 Talk to us and we'll guide you through the process of bringing your app idea to life (i.e. App store) and make you more money. You might just have an idea or some rough sketches that you drew last week in a coffee shop, worry not! Team Digicom works with you right from this stage to bring your app idea to life. Ideas have no value, unless they are executed. 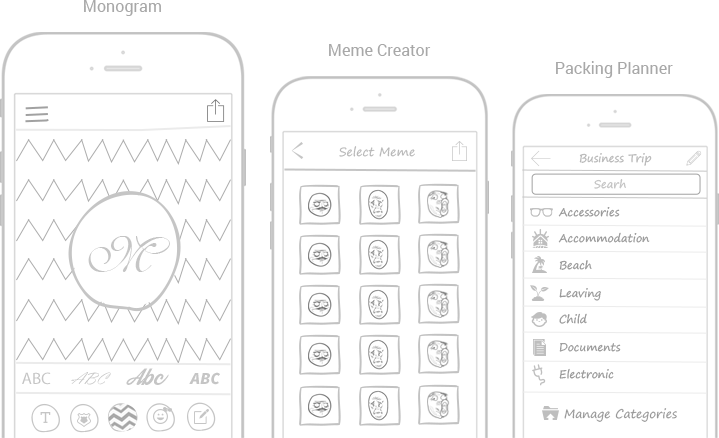 Creating wireframes and prototype around your idea is the first step of execution. First step is to take the first step. Good thing? Multiple iterations are allowed for a fixed price. Development teams love the specifics and that’s what we do while creating wireframes and prototype. Less chances of iterations here, so the budget is respected. User Experience takes the highest priority in App Development for a simple reason: The Apps are used by the users. If they like it, the app will be successful, otherwise not. So Testing – it is an excellent UX improvement tool. And you know, we don’t call untested app even an app! If a great (or not so great) app is not available on the App Stores, it has no value. In this stage, the rubber meets the road, means your very own app is now deployed on the app store under your very own account. Fascinating, isn’t it? Technology is evolving at the speed of thought. In their lifetime, Apps face many unexpected avenues such as OS upgrade, introduction of a new device, deprecated libraries and more. It results in – they stop functioning as expected. The answer? – Maintenance and support from Team Digicom that keeps your App up-to-date.